Sounds like most of us were awkward growing up. Luckily, all of us were so we all fit in just fine! Speaking of awkward, I took Max to the talent show rehearsal last night (he is performing with the chorus on Friday) and I was blown away by the guts these kids have. Dang, they got up there and sang, danced or played the piano like you would not believe. I won't lie, there were some comical moments, but even with those, I was impressed with them being able to get out in front of a group of people like that! Since things are kind of crazy around here with rehearsals and the illustrator getting ready for a convention in Seattle in a week, our eats have been pretty simple. I threw some baked potatoes in the oven last night and loaded it up with hummus and sauteed mushrooms. Tonight, I made a huge crockpot of my veggie sauce (the the boys say tastes like it has meat in it...it's because of the mushrooms) that I loaded up another baked potato. I have to go now...the kids are asking the illustrator when the first time he kissed a girl was! I gotta here this! I best that talent show is going to be amazing! I still have not tried the humnut trick. I hope you all have a nice evening! Looking forward to hearing how the talent show goes...hope your son enjoys it! 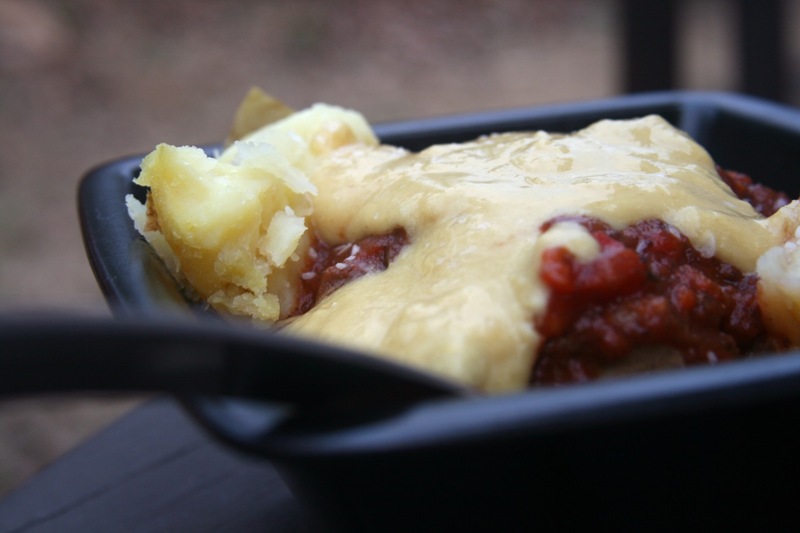 Your baked potato looks delish! I always just eat them with way too much butter. 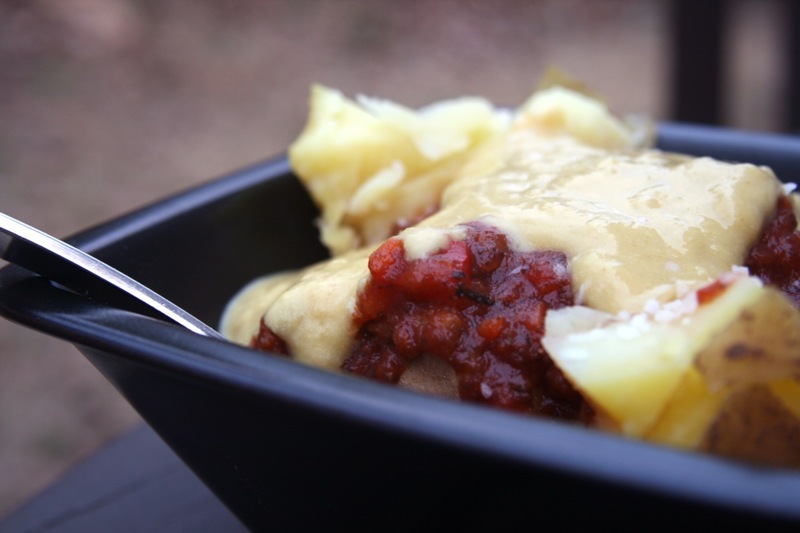 I'm loving your baked potato love - especially that you're a "hummus on my potatoes" fanatic as much as myself! 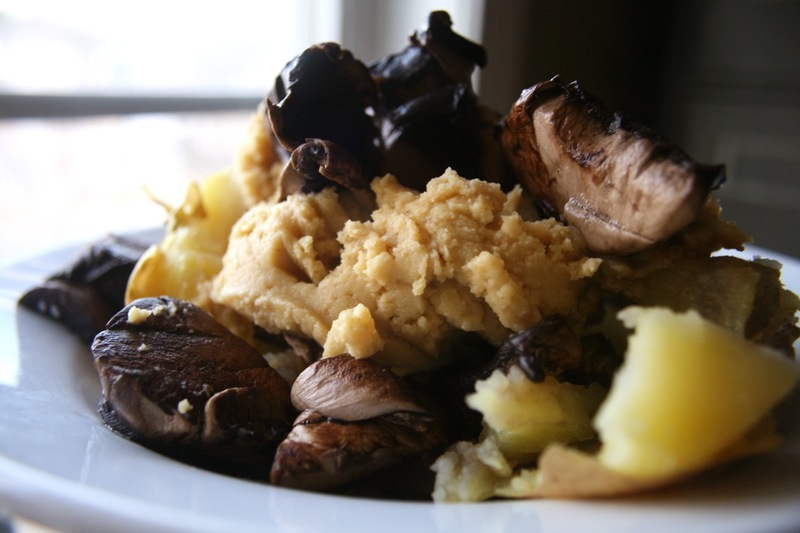 potatoes, mushrooms, and hummus....music to my ears! I'm doing this ASAP. Love the talent show thing---kids surprise me with their guts...I wonder when we all start to lose that! hahaha, I want to hear this story! I have potatoes on my grocery list for the weekend! They just sound so good. I've never added hummus to my baked potato.. I think I'll have to try that one out! I love potatoes too! I miss Thanksgiving- they were selling ten pound bags for a dollar! The hummus potato sounds great! I ALWAYS lick the bowl when humnut sauce is inolved. No shame! I would not eat white potatoes for so long. Why why why? I've been going to town on them lately. So good and so versatile. 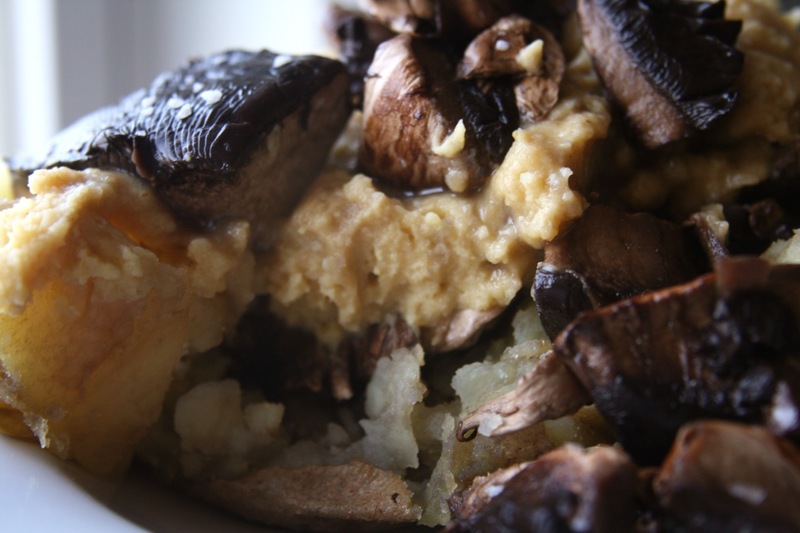 I am loving the thought of one piled high with hummus and shrooms. Must try that. Have a good weekend Sarena! Mmmnnn...your taters look so good. :) I love the idea of sauteed mushrooms and hummus. Rutabaga Vegetable Soup...makes me happy!